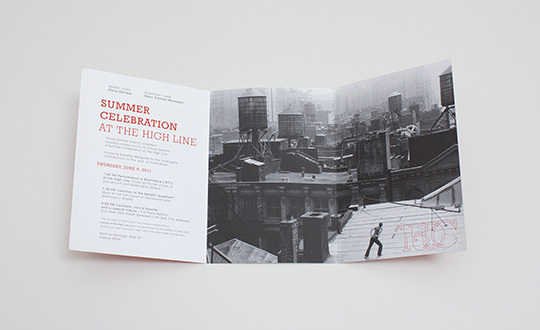 Invitation set for Trisha Brown Dance Company's 2011 gala event with a special performance of the Roof Piece (1970) at the High Line Park. 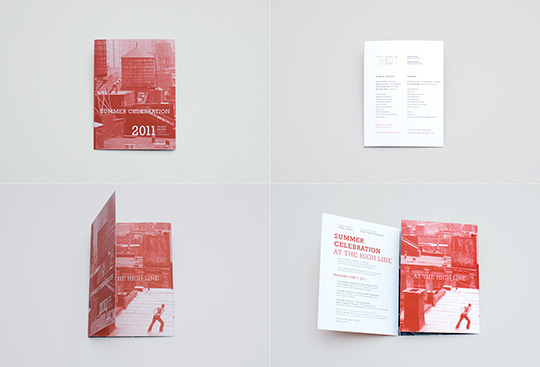 The idea for this invitation was to evoke the spacial presence of this unique above horizon dance piece and to create a panoramic experience through each folds of the invitation when opening it. 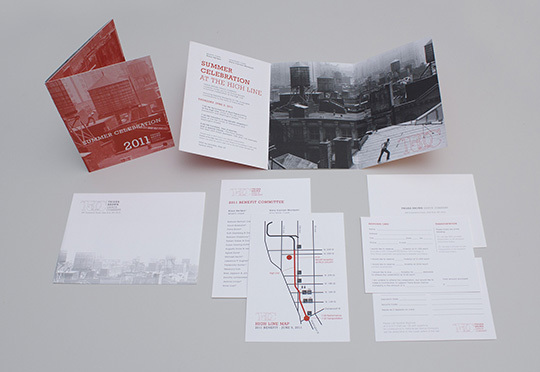 Invitation included matching envelope, response cards, reply envelop, and High Line access map with reception transportation information.